Dear Champagne Connoisseurs, thank you for visiting the Sabre à Champagne Official Web-Site. 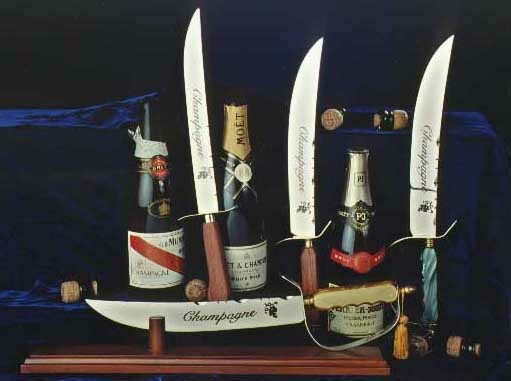 Champagne Saber is a perfect way to add prestige to your party or celebration and make it memorable and unique! Please click on this link if you are interested in becoming a reseller. Please click on this link for individual purchase. Our Champagne Sabers have been featured in the TV SHow: The Wine Ladies. Thanks to Uster Enterprise Inc. Web-Development and Comunication Company that has been providing us with a continuous and generous support.